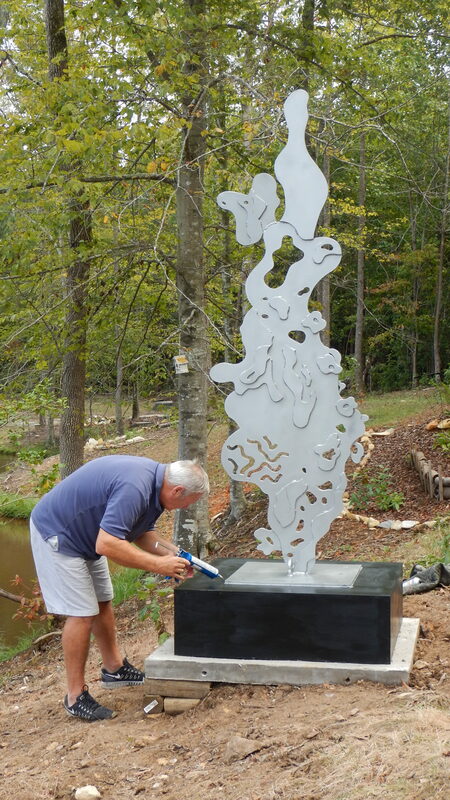 Virginia sculptor Steve Bickley had the honor of being the first artist to install a sculpture in the park. His work, entitled Cyro, is 10' tall and is fabricated from powder coated steel. We are so excited to be able to exhibit this well know sculptor's work!